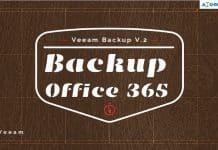 I have explained about backing up Email OneDrive SharePoint data with Veeam backup for Microsoft Office 365. 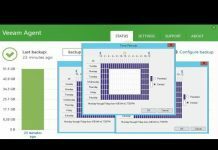 This post describes the option to recover Email OneDrive SharePoint data using Veeam backup for Microsoft Office 365. 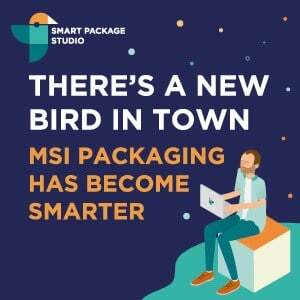 How to Save Microsoft Office 365 Mail? 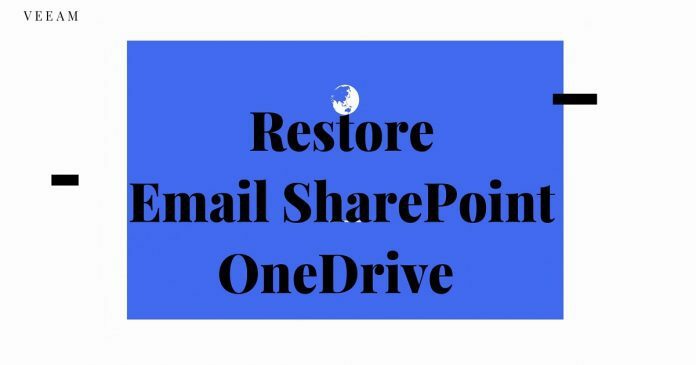 How to Restore OneDrive Files? How to Restore SharePoint Files? In the Organizations view, select an organization that contains backup jobs you want to explore. 2.1 Explore latest <product> state of <date>. To explore the latest backup state. 2.2 Explore point-in-time state. To select a point-in-time state when the backup was created. For more information, see Explore Point-in-time State. 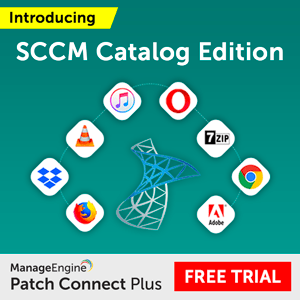 To browse and search the backed up items, you need to use either Veeam Explorer for Microsoft Exchange or Veeam Explorer for Microsoft SharePoint. 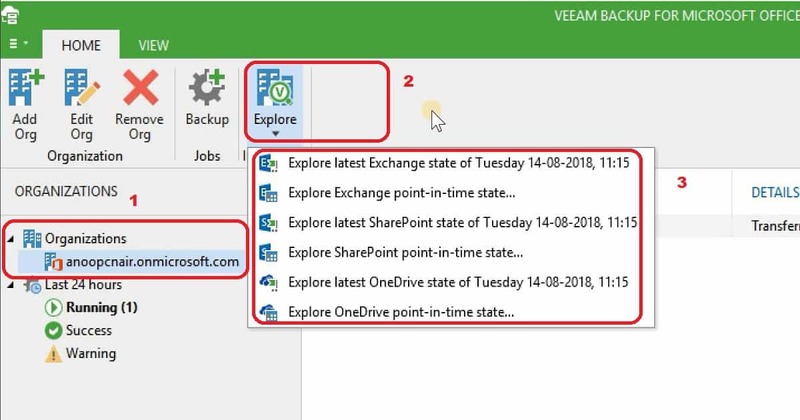 You don’t have open the explorer; instead, you can use Veeam backup for Microsoft Office 365 to explore the backup data. Browse – To view the content of a backup file, you use the navigation pane which shows you the database structure containing your Exchange objects. After you select an object in the navigation pane, you can see its content in the preview pane. 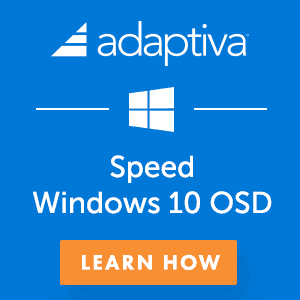 Opening Messages – To open a message, right-click the document in the preview pane and select Open. In the navigation pane. 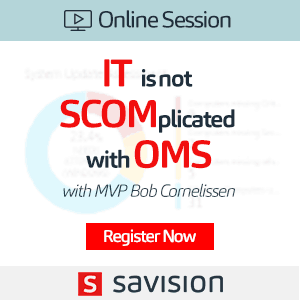 Select an object where you want to find your data. 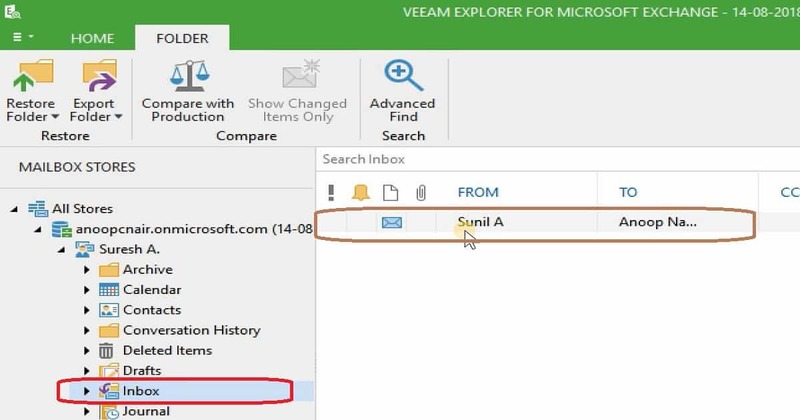 When you select an object, you define the search scope which will be used by Veeam when matching search criteria. Type in your search queue using the search field at the top of the preview pane. 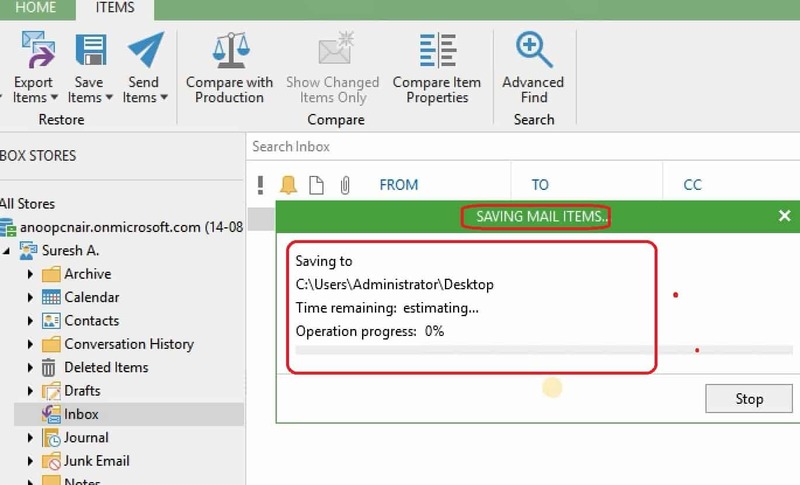 In the navigation pane, select a mailbox you want to restore. 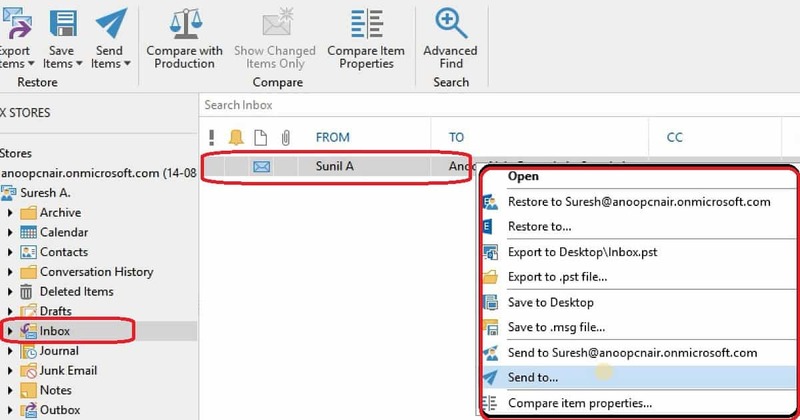 Go to the Mailbox tab and click Restore to <original_mailbox_name>. You can also use the corresponding context menu command. Original Exchange server, original folder, and original mailbox name. Both changed, and missing items will be restored. Restored items will be marked as unread. No folders will be excluded by default (all folders from the backup will be recovered). In the navigation pane select a folder containing required items. In the preview pane, choose items you want to save. You can also use the Search field to find particular items. Go to the Items tab and click Save Items > Save to <folder_name>. You can also use the corresponding context menu command. A <folder_name> name depends on the latest location that was used when saving items. By default, files will be saved with the same name as the subject of the mail item. 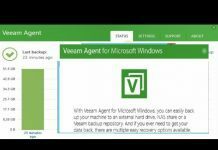 How to Save/Restore SharePoint File using Veeam Explorer for SharePoint? I have explained this save options in the video tutorial above.